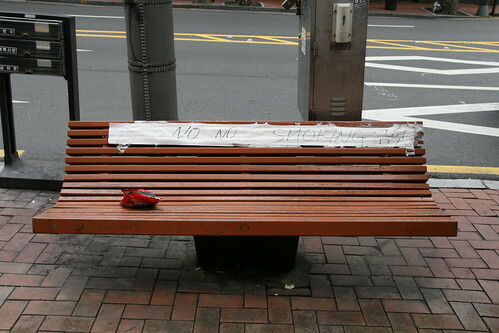 Itaewon's new "No No Smoking" bench. But littering is OK I guess. It's a big "No No"